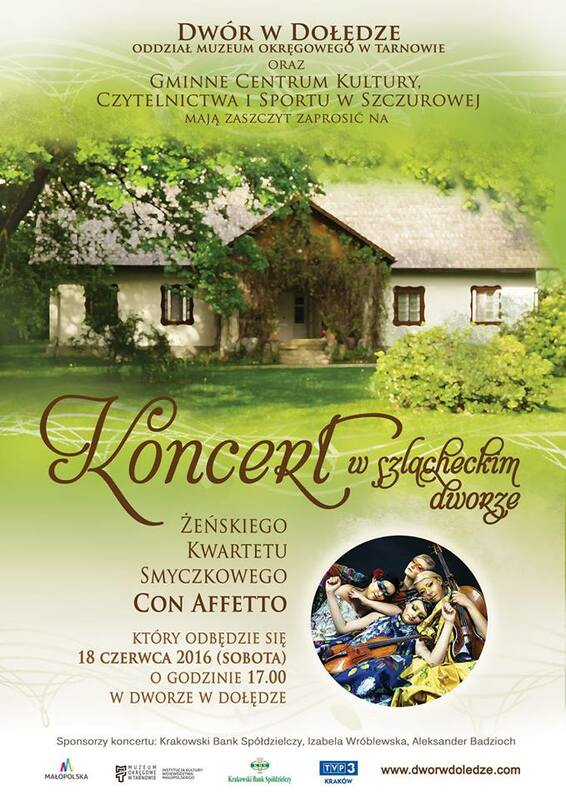 The nearest Saturday (18 June) in a charming manor in Dołęga, the female concert by string quartet "Con Affetto" will be held. I encourage you to participate in this event not only because I support any such feminine events (especially if they are happening in my local environment), but also because it is truelly worth to spend a Saturday's afternoon being surrounded by the beautiful sounds and beautiful interiors of the noble nineteenth-century manor house. It is also good occasion to relax and catch a fresh breath in the lungs. Female string quartet "Con Affetto" was founded in 2005 by the students from the Academy of Music in Cracow. Quartet's name "Con Affetto" (Italian "with a feeling") says a lot about the involvement of young artists who were joined by friendship, desire to improve their skills and passion for make unique music. Ensemble has a wide and varied repertoire ranging from classical music, through interesting arrangements of popular music, film and musical to the contemporary music. 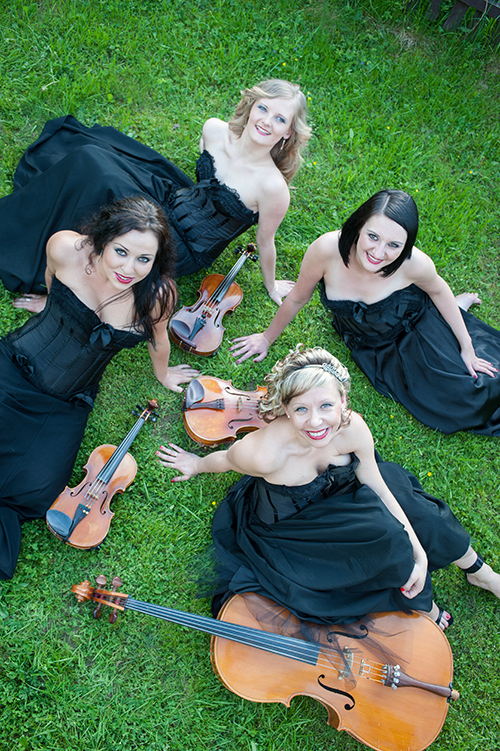 Quartet members continually develop their musical interests systematically participating in recordings, orchestral projects, theater performances and entertainment concerts, which guarantees a consistently high standard and professionalism. Con Affetto expanding its activities and interests by taking part in various arts-synthesis projects, for example participated in European Centre for Theatre Practices GARDZIENICE and Dutch's director's Mieke Bal film "Reasonable Doubt" (premiere planned in 2016). Ensemble is currently working on premiere recording complete discography of contemporary American (Polish origin) composer Henry Derus, which apart mainstream executive - earlier eras of classical music - is a girls great passion. However most importantly, most noticeable and appreciated by the public is that the quartet -on and beyond stage- remains a phenomenal combination of four elements and energys, create complete picture of feminine nature. After all, MUSIC IS A WOMAN... :) (source: conaffetto.pl).